AnDong is married. The bride is from PanYu,Guangzhou. We picked her up in the morning.As the only photographer, in order to take the best pictures,I was always in front of them.Actually,no matter what the bridegroom and his brothers did,no matter how many red envelopes they gave,they must gave their best to go to the house. 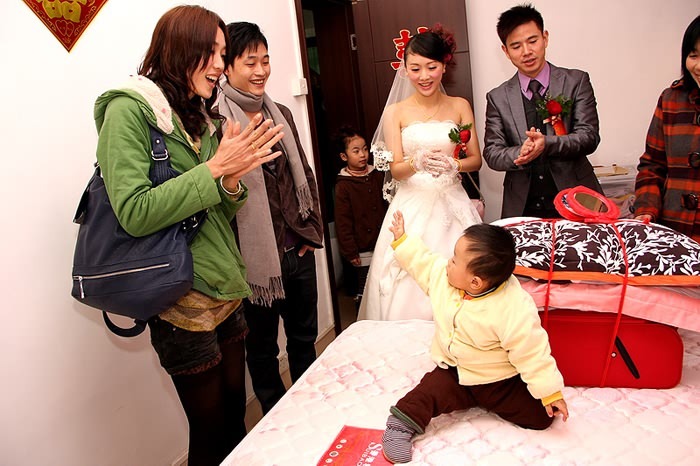 Even though they did,they must find the bride’s the other shoe,this is a southern custom in China.The more difficulties you meet,the more happy you will be. After you found the other shoe,the bridegroom shoud toasted the bride’s parents and elder members of her family in tea. 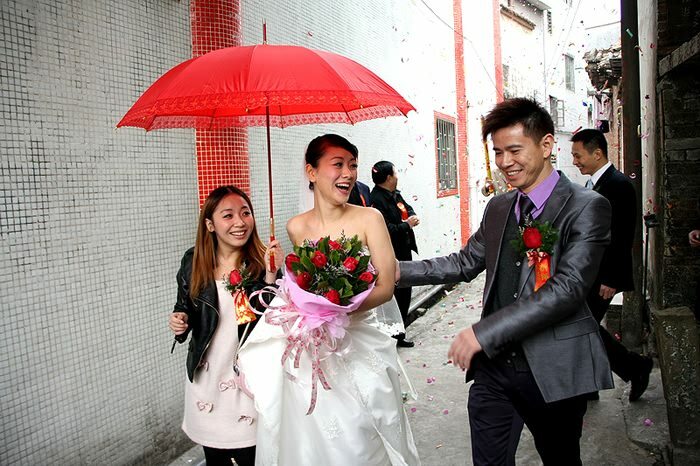 and then the bridegroom got many red envelopes and other presents.After they finished,they went outside together. You can hear the sound of firecrackers .And then I must catch every moment in my camera.